The year 2017 saw Hollywood bid a smashing box office goodbye, with three sequels setting the cash registers rolling. The four-day extended weekend was dominated by Disney’s Star Wars: The Last Jedi. Youtube screen grab of the trailer of Star Wars: The Last Jedi. 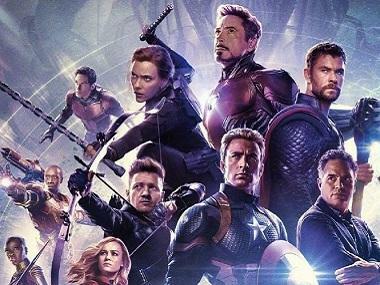 Entertainment Weekly reports that the fantasy film earned $52.4 million over the New Year's weekend, thus taking its US box office total to $517 million. In the process, it dethroned Beauty And The Beast to become the highest grosser of the year in the USA. The same report states that after garnering $120 million during the same weekend at the global box office, the film has crossed the coveted $1 billion mark. Thus, it has become the third highest global grosser of the year and the 24th highest of all time. Another sequel, Jumanji: Welcome to the Jungle has performed above expectations despite competition from Star Wars: The Last Jedi. Variety reports that the Dwayne Johnson starrer garnered $68.4 million, bringing its global total to $533.1 million. Similarly, Universal’s Pitch Perfect 3 also fared well at the weekend box office when it earned $30 million worldwide, as reported by Forbes. Thus, it is not an exaggeration to suggest that sequels or installments of popular franchises ruled the box office during the last weekend of the year.